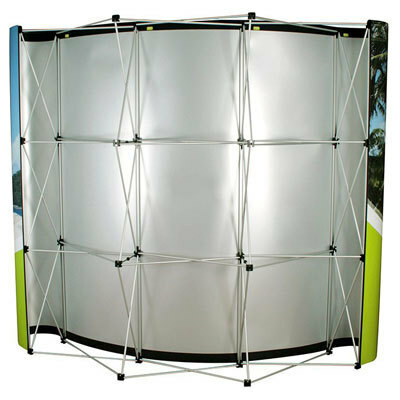 The pop up display "Curved Plus" is availabble in three sizes. 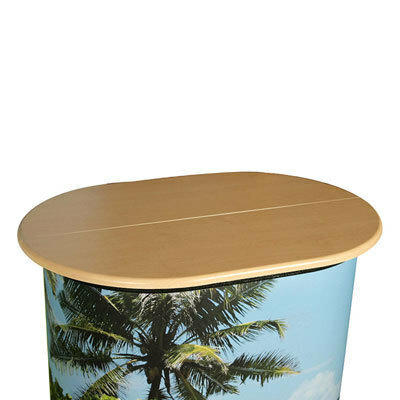 You can order the print for the display wall and the print for hardcase with different graphics. Two spot lights are included in the offer. 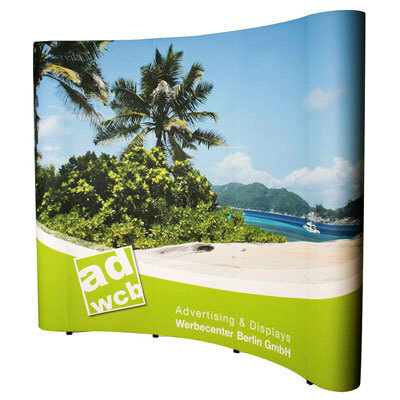 The curved display wall is a pop-up system that can be set up quickly and without tools to a large advertising space. 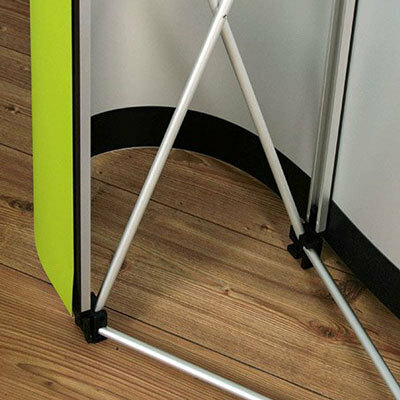 The digital prints are fixed on the back with magnetic strips for an easy attachment to the metal rails of the exhibition frames. The suspensions on the top of each panel are not visible from front. The transport box includes a tabletop and custom printing according to your file. 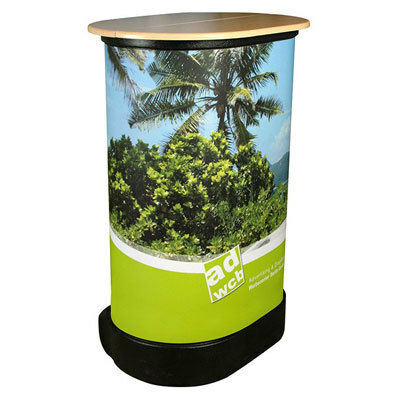 It is useable as an exhibition counter. 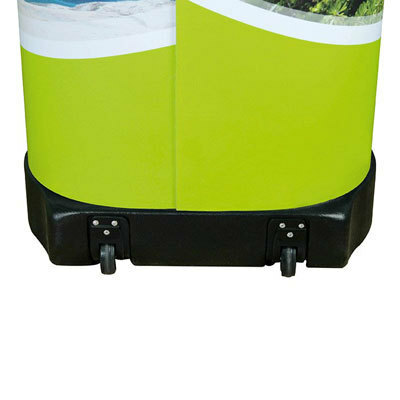 The print is wrapped around the hard case and fixed at the back with hook-and-loop tape. 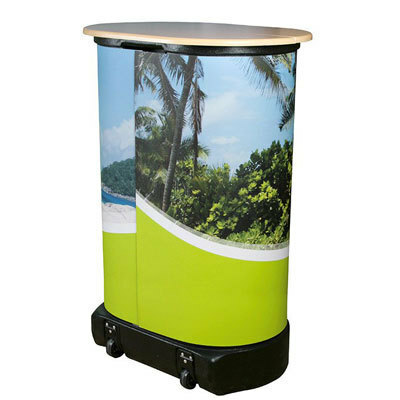 The display, the prints, the spot lights and the tabletop can be stored space-savingly in the hardcase box for transport. 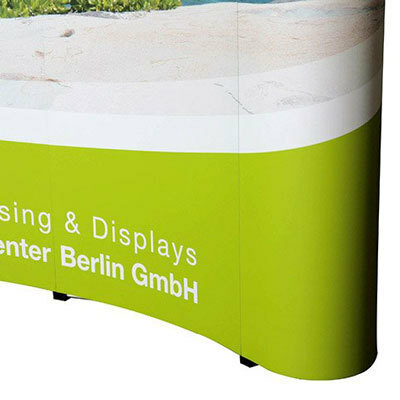 A larger exhibition display set you can find in our shop as Pop-up display "Circle". 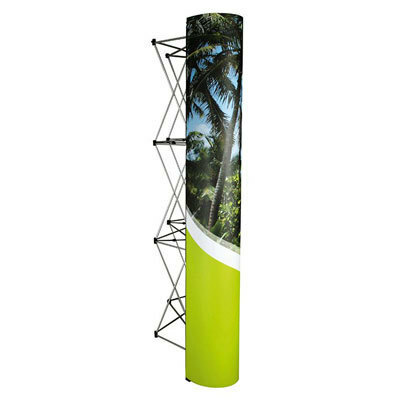 The installation should be done on even ground, otherwise the sheets will be under tension which may lead to undulations and an offset of height. Elements like small texts, logos or fine lines should not be placed in the sheet edges area. 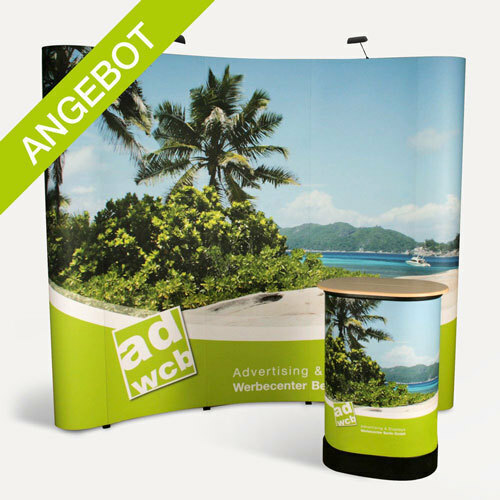 Because the exhibition display is made of single strips, a seamless fitting cannot be guaranteed. When mounted inaccurate or on uneven ground a misalignment may occur. 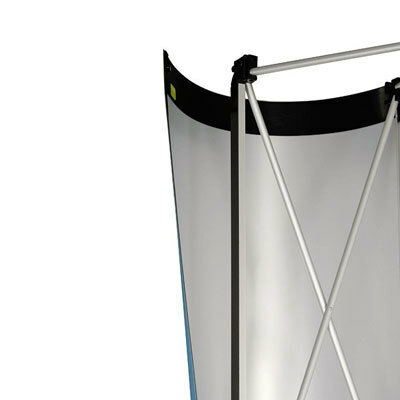 We recommend to place no important graphic elements in the sectional areas of the sheets. 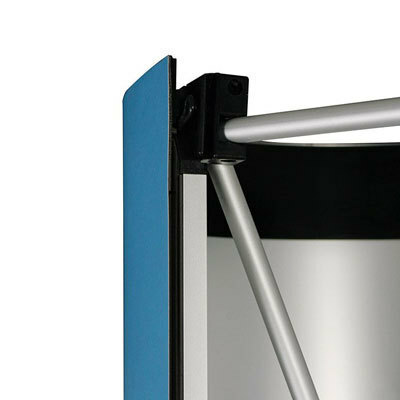 The magnetic strips are attached at the back and are not visible from front.